As the new school year begins so too does a new era for the Old Vic. 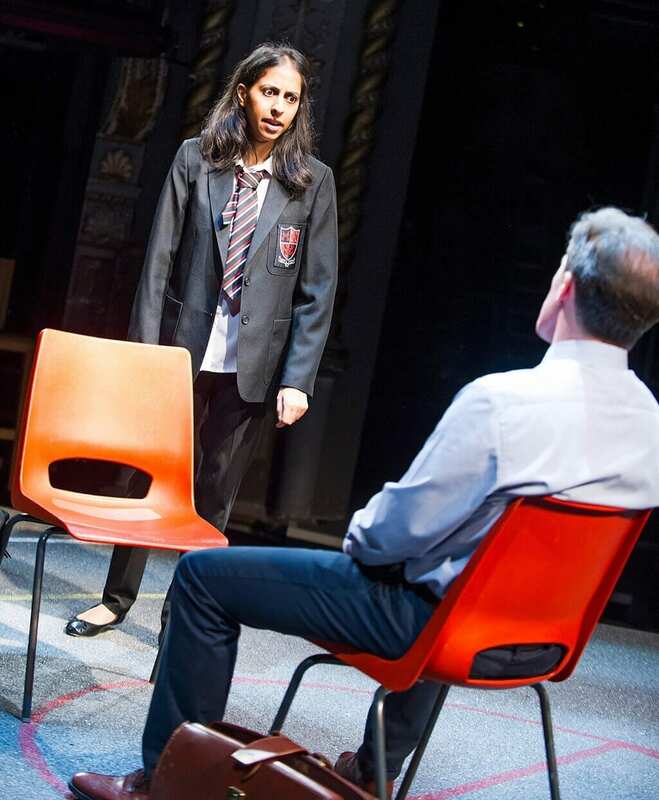 Opening his tenure with the premiere of Tamsin Oglesby’s new play about our shoddy school system, Future Conditional, the theatre’s new Artistic Director Matthew Warchus suggests a fresh, politically engaged, of-the-moment approach. 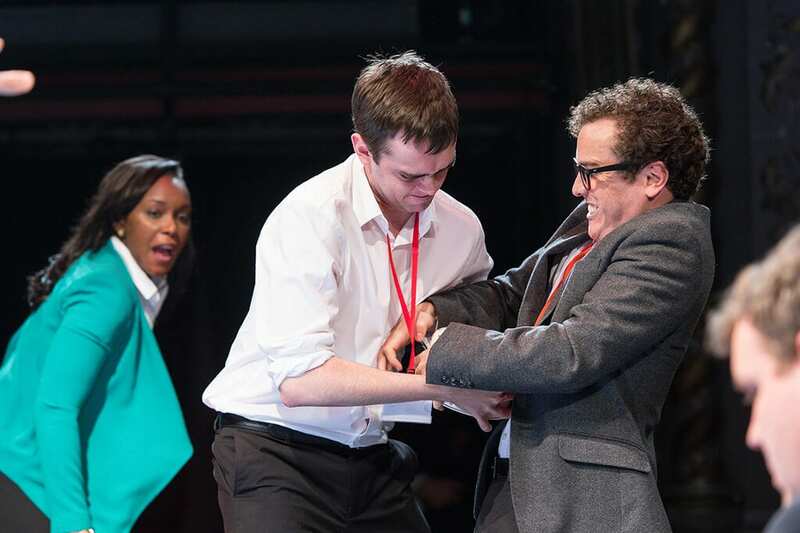 The problem is that although Future Conditional is certainly topical it doesn’t make for the most dazzling A* start. The problem is that the play attempts too much, with not one but three underdeveloped plots vying for attention. We start in an Oxford interview where passionate and prodigious young Pakistani refugee Alia (Nikki Patel) unnerves an old English don. Next we’re at the school gates with an eclectic bunch of parents agonizing over secondary school choices, ‘good schools’, ‘bad schools’, local schools, academies, the benefits of learning the euphonium to nab a music scholarship, and whether or not to send their darlings private. The third strand of Future Conditional, and the most overtly political, is a W1A-style brainstorming group called the Educational Equality Committee who discuss, in great depth, the theories and practicalities of education (though there is a brief break from their dense, research-laden dialogue for a childish flapjack food-fight). Attempting to knit these three separate plays together is a brilliant cast, including Nikki Patel, who gives a moving performance as straight-talking Alia, Rob Brydon as an inspiring though world-weary teacher, and the mums who range from Lucy Briggs-Owen and Peta Cornish as posh yummy mummies Hettie and Sarah to Amy Dawson as their Essex gal counterpart, Kaye. The scenes at the school gates are by far the funniest, interrogating the school system with a subtlety that the other storylines lack. 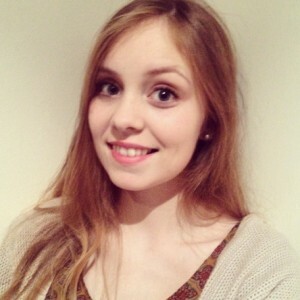 They also have the best characterisation; when Oglesby writes from experience she writes well. 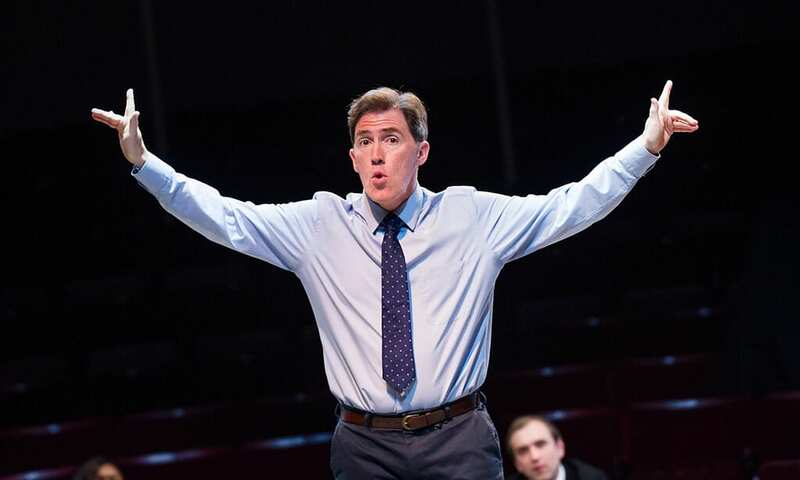 Bizarre directorial decisions (including invisible children) aside, Future Conditional is a clever, funny, provocative piece and a well-aimed jab at Oxbridge, pushy parents, and the state of secondary education. With a narrower focus it might have been top of the class. However, the play ends up hovering in the mediocrity its characters dread so much. After all its hard work to expose failings, demand change and come up with a practical proposal to achieve it, the final words “It will all be alright”, spoken over The Beatles’ ‘Let It Be’, appear to fly in the face of all that Future Conditional is trying to achieve.